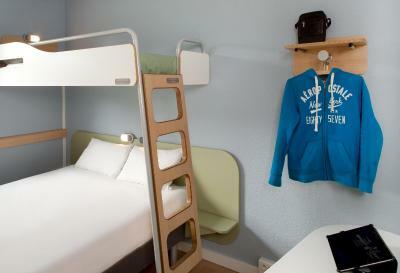 Lock in a great price for ibis budget Bergerac – rated 8.3 by recent guests! I wanted this hotel because of its proximity to the airport. It was a great choice for this purpose. I slept very well here. Access to town and highways was excellent. The breakfast was par for the course in France. Breakfast was OK. 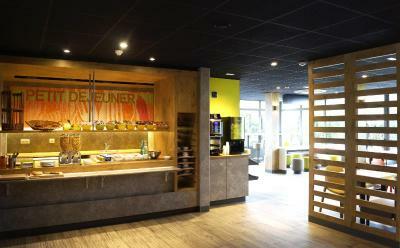 It was easy to find, and convenient, as I only booked 20 minutes before we arrived. Convenient for the airport, supermarket and restaurants. Clean and practical with no frills. Good breakfast. 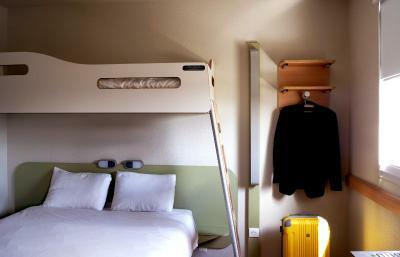 The ibis budget Bergerac is located in the heart of Perigord, just 10-minutes from the center of Bergerac. It offers air-conditioned accommodations 7-minutes from the N21. 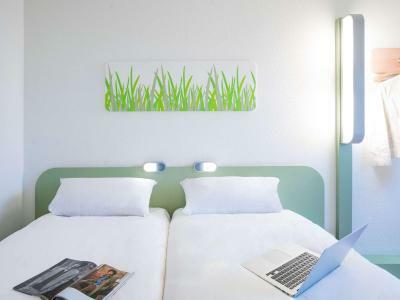 All of the rooms at ibis budget Bergerac feature a TV with 26 channels and free Wi-Fi access. Each has a private bathroom with a shower and toilet. The breakfast buffet offers a range of French breads, brioches and croissants, served in the breakfast room or on the terrace. 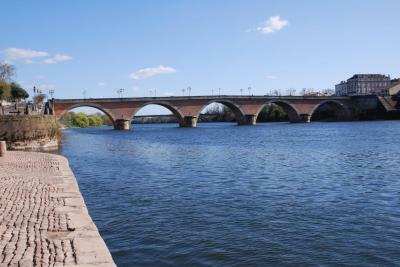 Located 3.1 mi from Chateau de Monbazillac the hotel is ideally located for visiting the Dordogne region. The hotel offers free onsite private parking. 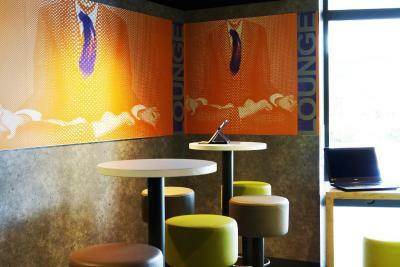 When would you like to stay at ibis budget Bergerac? This triple room features a satellite TV, air conditioning and soundproofing. 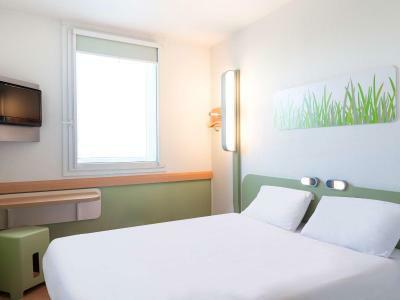 This twin/double room features a flat-screen TV, soundproofing and air conditioning. 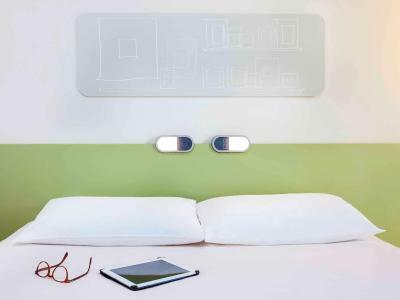 "Get into a comfortable bed without getting out of your budget! Renovated bedrooms with a cosy duvet, flat-screen TV and WiFi access. 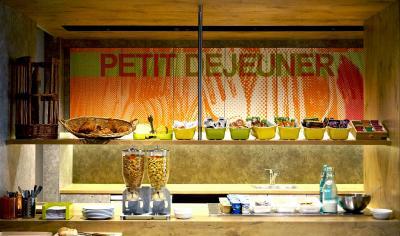 In the morning enjoy an all-you-can-eat breakfast. " House Rules ibis budget Bergerac takes special requests – add in the next step! 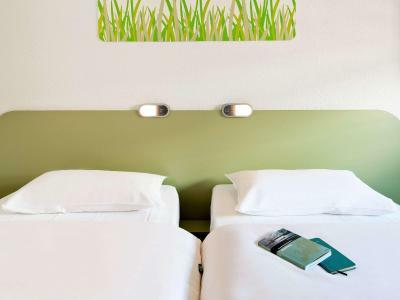 ibis budget Bergerac accepts these cards and reserves the right to temporarily hold an amount prior to arrival. Insects inside the room. When it’s called budget, they mean it. The hotel is on an industrial estate near a busy road, which was noisy. The WiFi was broken all evening, although staff did try to repair the connection. The shower, separate from the toilet, flooded onto the bedroom floor. The poor design means it's impossible to take a shower without this happening. The air con did not work - although this is a common problem in this type of hotel. Tea and coffee facilities in the room. 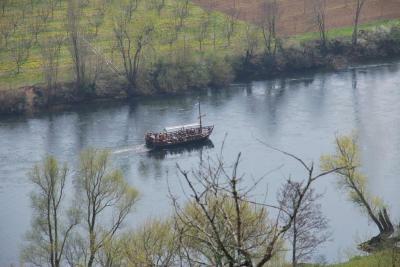 I stayed at the hotel to have a look at the Dordogne valley, which I did. I also went to Mass at Notre Dame! The shower door could have fit better. There was a puddle on the floor after our showers. Everything was as expected. An extra pillow would have been good. Very help staff. Good location for food and easy access. Good breakfast. Excellent for our one night stop. The internet connection was very poor and it took a long time to connect - apparently this is an ongoing problem. 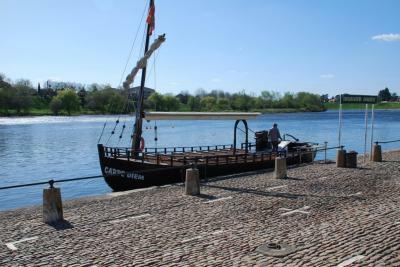 Its close proximity to Bergerac airport. Petrol station close by for filling up our rental car prior to return.